MADERA, CALIFORNIA (April 29, 2017) – 12 year-old Jesse Love established himself as the top contender for the 2017 51FIFTY Junior Late Model championship while 2015 track champion Buddy Shepherd returned to RPM Mortgage Pro Late Model victory lane in a busy Saturday night at Madera Speedway. Both second round events of the prestigious Late Model series were broadcast for MAVTV on a perfect spring evening at the fastest one-third mile in the west. Love's 75 lap win makes him two-for-two in his young Jr. Late Model career and came against an outstanding field of 20 cars, narrowed from a 15 lap B Main. Redwood Valley's Kolby Berry, the season opening runner-up, brought the field to the green flag alongside last April's winner Austin Edwards, age 12. An incident early on in turn two involved three female drivers including Jaden Lyn Rocha, Lilly Mead, and Madison Gay. All eventually were freed from the incident but Jaden Lyn eventually retired from the race on lap seven. A series of short cautions for spins brought the race to a lap nine restart, where Berry spun from the lead but the race remained under green with Edwards assuming the top spot. Las Vegas' Tanner Reif spun on lap 11 with a flat right rear tire and Mead spun in turn two collecting Reif on lap 18. Reif and Mead were again gathered in a melee on lap 22 that included Jesse Burks. Love took a look underneath Edwards for the lead before another brief caution. Love continued to hound Edwards while four-time winner Austin Herzog tried to overtake Hailie Deegan for third. Herzog and Deegan had a brief door banging battle on lap 28 and Herzog grabbed the position. Love finally got around Edwards for first on lap 30 in turn 1 before a caution for Berry spun around in turn two. Herzog challenged Edwards for second before Anthony Guiamano tagged the wall with a flat tire to bring the race's 50 lap break early on lap 41. After the intermission on the front stretch, Love drove away from the pack repeatedly while the biggest mover was Bakersfield's Kabe McClenny. McClenny challenged Deegan for fourth several times in his first series race. McClenny spun on lap 57 in turn two and collected Eric Nascimento, Jr. to end Nascimento's night early. A final caution for a brief spin on lap 64 set up an 11 lap run to the finish but Love proved too strong for the .518 second victory while Edwards held off Herzog for second. Berry charged back through the field to finish fourth with Deegan rounding out the top-five. Buddy Shepherd came from the ninth position to get his first 100 lap Madera Speedway RPM Mortgage Pro Late Model victory since his 2015 championship season. The top eight starters after the redraw were all drivers without a previous televised Pro Late Model win, making for a wide-open race. 2016 champion Matt Erickson came to the green from 12th as well. Ryan Hart led the first three laps with Rick Thompson on his outside, before Thompson edged forward to hold the lead position. Erickson found himself embroiled in three-wide racing early on. Hart hit the front stretch wall head-on during lap 15 but the race stayed green until Howard Holden spun in turn one the following lap. Shepherd found himself in fourth by that restart, while up front it was Madera Late Model Easter Egg night winner Dillon Tucker charging past Thompson for the lead on lap 16. A caution on lap 25 spelled disaster for top-five running Austin Herzog as he retired to the pits with smoke from the rear of the car. Tucker's days at the front were numbered as Shepherd pounced to lead lap 26. Several different restart exchanges saw different drivers follow Shepherd on the outside line including Rick Thompson driving back into second. A multi-car spin in turn three slowed action on lap 36 and a two-by-two battle for third followed. Erickson snaked through the battling to advance to fourth by lap 42 with the race hitting its halfway break at lap 50. Tyler slid across the line from fifth at the end of the segment but was able to continue without damage. After the halfway break on the front stretch for adjustments, racing resumed with Shepherd continually using the outside line to anchor restarts. Erickson ran as high as third on several occasions and faced battles with half a dozen different drivers. Joey Licata eventually emerged as a contender for the race win as he battled with Thompson for second multiple times before having an engine failure on lap 65. Erickson slipped back to fifth on that restart and never fully recovered, with Garland Tyler starting to become the next driver to challenge the leaders. Logan Zampa and Tyler managed to both work their way past Thompson on the inside line with five laps to go while Buddy Shepherd enjoyed a comfortable margin ahead of them. Shepherd grabbed the $2,000 victory by 1.630 seconds ahead of Zampa, Tyler, Thompson, and Erickson. Hart overcame the earlier incident to finish ninth while Tucker faded to tenth in the closing laps with front end damage. All three undercard divisions on the evening had first time winners. 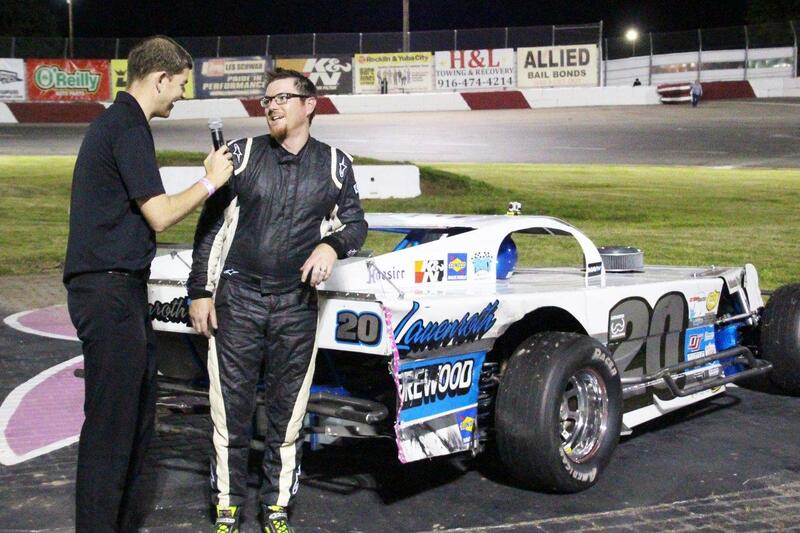 Patrick Geiger put together a dominating win in the Modified Super Toyota feature, winning by a full straight away. The remaining four cars in the event ran two-by-two for the entire 20 laps with Bert Stephens edging Zachary Cook for second. Nine year-old Tyler Reif of Las Vegas, NV made the most of his Mini Cup debut for his first win. A late restart evaporated his comfortable lead but he was not deterred as he charged to a 2.227 second win over JoJo Stearns and Joseph Holiday. Toyota Sedan points leader Mike Marley picked up his first ever win topping Erik Woods and Thomas Magray. Madera Speedway's 2017 season continues next Saturday with the Vukovich Classic / The BCRA Midgets, NCMA Sprints, CSS/360 Super Modifieds, Legends of Kearney Bowl, Senior Open Vintage Super Modifieds, California Hard Tops, Vintage BCRA, USAC HPD Midgets, Legends of the Pacific, PLUS THE WEST COAST SPORTSMAN SERIES featuring Grand National Type stock cars in a 75 Lap race! 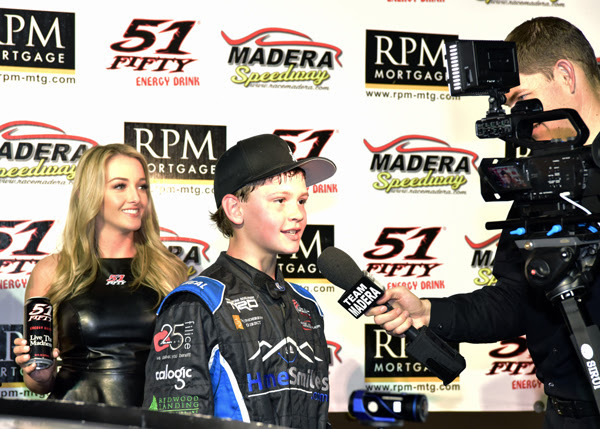 MADERA, CALIFORNIA (April 25, 2017) – The second rounds for both the RPM Mortgage Pro Late Model Series and 51FIFTY Jr. Late Models hit Madera Speedway on Saturday night, with MAVTV cameras rolling for both shows. An increased purse will see the Pro Late Model drivers competing for $2000 in their 100 lap feature while the Jr. Late Models will be again be a 75 lap contest. Modified Super Toyotas, Toyota Sedans, F4's, and Mini Cups are also scheduled to compete. Over 60 Late Models between the two headlining divisions competed in the season opener on March 11th and both divisions will have new formats this weekend as a result. Both divisions are scheduled to hold B Main events, car count permitting. The Pro Late Model B Main will be 25 laps. The top four drivers after lap 15 will advance to the main event, with the remaining cars battling for the final ten laps for B Main points and $500 to win. An overwhelming car count response to the Jr. Late Model division has warranted officials electing to start the top 16 cars in qualifying for the main event, with the remaining drivers running in a 25 lap B Main. The Pro Late Model main event and Jr. Late Model event are split features. The Jr. Late Models stop at lap 50 on the front stretch for adjustments and MAVTV interviews, before their 25 lap conclusion. Pro Late Models will now follow the same format, with a break after lap 50 before their 50 lap conclusion. Matt Erickson successfully kicked off his 2016 RPM Mortgage Pro Late Model Series title defense with a $5,000 victory in the 125 lap opener. 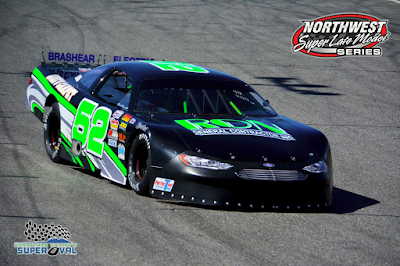 2015 champion Buddy Shepherd finished second after a torrid battle for the win, but used his qualifying performance and the halfway bonus to lead the points standings. 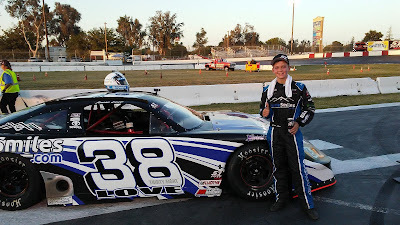 Dillon Tucker finished third in the Pro Late Model season opener but has followed that with a win and a second place finish in local Madera Late Model competition as well. Former USAC HPD Midgets overall champion Jesse Love IV, age 12, dominated the first round for the 51FIFTY Jr. Late Models by leading all 75 laps in his debut. 15 year-old Kolby Berry ran second ahead of Love's teammate, 14 year-old Hailie Deegan. The top two points cars from 2016, Dezel West and Austin Herzog, tangled in a mid-race crash on opening night and will have some catching up to do in round two. MAVTV coverage of the Madera Speedway will begin airing on June 1st, and will include 16 episodes featuring every single Pro Late Model and Jr. Late Model race of the year. A busy undercard will fill out Saturday's exciting races. Bert Stephens has two consecutive victories along with a second place finish to lead the Modified Super Toyota points over opening night winner Dave Lander. On the Toyota Sedan side, Mike Marley hasn't yet visited victory lane but he holds a two point cushion over Thomas Magray. With both Jackson Dukes and Adam Lemke graduating from Mini Cups, that division is set to be another wide-open affair with the championship vacated. Several Jr. Late Model teams expect to field younger siblings in the Mini Cups adding to the intrigue. An open practice kicks off the weekend on Friday before a full day of action on Saturday. Friday practice runs from 5 p.m. - 8 p.m. On Saturday, pit gates open at 11 with practice from 12:30 p.m. - 2:30 p.m. Qualifying will follow with heat races at 4:30 p.m. The B Main events are scheduled for 5 p.m. with Opening ceremonies and the main events beginning after that. April 22, 2017 .... Roseville , CA...... Defending champion Darrin Knight of Kelseyville came from eighth starting and passed leader Darin Snider on lap 12 to collect $1000 in the 2017 season-opener for the North State Modified Series, presented by Protect the Harvest, at All American Speedway in Roseville, CA Saturday night. The event was the second annual Sinister Diesel Gene Welch Classic. In the Lucas Oil Dash for Cash Bryan Denton collected $100 for the win, with Eric Johnson getting $50 for second. Both drivers also hail from Kelseyville. The event drew a record number of 26 NSMS modifieds to the Placer County facility with Charlie Collins earning the $100 Sunoco/Penney Racing Supply fast time award. Collins drew a 10 for the invert putting Lakeport's Sierra Furia and Redding's Cody Braund in the front row for the 60 lap feature. Cody Thompson of Fremont and Santa Rosa's Cameron Austin were in row two. Snider and Joe Rhodes Jr started in row three, Eric Price Jr and Knight shared row four, and Jason Philpot and Collins lined up in row five. As the field was coming out of turn four for the original green flag, a seven-car pile-up eliminated Rhodes and Sal Lopez. When racing finally got under way Braund pulled ahead of Furia with Thompson moving into third. Two laps later Furia drifted high allowing Thompson, Snider, Knight, Price and Philpot to gain position. The race was slowed again on lap five when Codi Barba spun in turn two. Braund chose the outside lane for the restart and quickly relinquished his lead to Snider and Knight. Price drove around Braund for third on lap 10. The yellow flag flew again on the 11th circuit when Oregon driver Rich Cobb lost control in turn four. When racing resumed Knight took control, and five rounds later Price made an inside pass on Snider for second. By lap 20 Snider's car developed a handing problem allowing Philpot and Collins to move into third and fourth. The lapping process began on 23 with Knight easily picking his way through slower traffic. Price, Philpot, Collins and Snider did the same on the long 49-lap caution-free run. Knight took the checkered flag first for the win followed by Price, Philpot, Collins, Snider and Braund. Rounding out the top 10, and eligible for $200 in the Lucas Oil Tow Money program were Johnson, Austin, Darrin Sullivan and Dustin DeRosier. Finishing 11th through 15th, and eligible for $100 Lucas Oil tow money were Terry Deal, Furia, Denton, Adrianna Strugnell and Cobb. 14 year old rising sprint car shoe Jake Andreotti, driving for Protect the Harvest modified, finished 16th in his asphalt debut, followed by Simi Tour, Wade Coleman, Thompson, Barba, Tyler Wentworth, John Baker, Rhodes and Lopez. Richie Potts and Kris Price both suffered mechanical problems and were not able to start. Race 2 for this popular series will be at Lakeport Speedway on Saturday May 6. The North State Modified Series is presented by: Protect the Harvest, Lucas Oil, Sinister Diesel, Penney Racing Supply, American Racer Tires,Wrap Star Pro, Naake Suspension, Sunoco Race Fuels, Five Star Bodies, Racer Bling, Wenteq, Keyser Racing Products, Scribner Plastics, DJ Safety, and the Buckhorn Bar & Grill. SUNOCO/PENNEY RACING SUPPLY TIME TRIALS: Charlie Collins, 13.785; Jason Philpot, 13.802; Darrin Knight, 13.843; Eric Price Jr, 13.854; Joe Rhodes Jr, 13.913, Darin Snider, 13.941; Cameron Austin, 13.957; Cody Thonmpson, 13.992; Cody Braund, 14.052; Sierra Furia, 14.058; Terry Deal, 14.090; Jake Andreotti, 14.111; Rich Cobb, 14.138; Eric Johnson, 14.155; Codi Barba, 14.209; Bryan Denton, 14.220, Dustin DeRosier, 14.237; Darrin Sullivan, 14.239; Tyler Wentworh, 14.286; Sal Lopez, 14.410; Wade Coleman, 14.490; Simi Tour, 14.508; Adrianna Strugnell, 14.547; John Baker, 15.260, Richie Potts, NT; Kris Price NT. SINISTER DIESEL GENE WELCH CLASSIC : Darrin Knight, Eric Price Jr, Jason Philpot, Charlie Collins, Darin Snider, Cody Braund, Eric Johnson, Cameron Austin, Darrin Sullivan, Dustin DeRosier, Terry Deal, Sierra Furia, Bryan Denton, Adrianna Strugnell, Rich Cobb, Jake Andreotti, Simi Tour, Wade Coleman, Cody Thompson, Codi Barba, Tyler Wentworth, John Baker, Joe Rhodes Jr, Sal Lopez, Rich Potts (DNS), Kris Price (DNS). WENATCHEE, WA (April 22, 2017) The 2016 Northwest Super Late Model Series Inc. (NWSLMS) Jefferson Pitts Racing (JPR) Rookie of the Year driver, Brittney Zamora is looking up. Coming fresh off her JPR test session, Zamora has set her goal higher for this season; to take last year’s Rookie of the Year to the Winner’s Circle in 2017. Zamora and the JPR K&N Pro Series West team, led by Jeff Jefferson, met at Yakima Speedway for the nearly 18-year-old to claim her Rookie of the Year prize, a K&N Pro Series test session. After a day at the Naches JPR shop to get fitted, Zamora was ready for her test at the track. After a quick shake down, minor adjustments, a perfect car was just what she got. A100-lap test session landed her as the fastest driver of that car at Yakima Speedway. “It was a great experience and I loved being able to experience the different level of racing,” said Zamora. 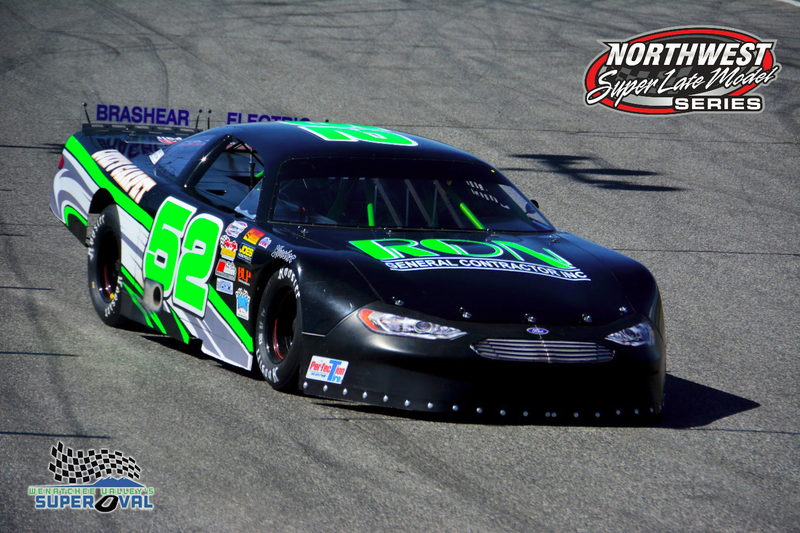 “We came away with excitement and confidence in knowing we have the ability to compete at that level.” The team is actively looking for sponsorship partners to secure the ride for the Spokane County Raceway K&N West race, giving her the opportunity to make her debut. The NWSLMS kicks off its 2017 season this weekend at Wenatchee Valley Super Oval for the 3rd Annual Leonard Evans 150. A strong field of entrants is expected with drivers from the west coast to western Canada competing for the coveted first place prize monies, and for a bigger payday as well. The top two finishers will be on the “Road to the Oxford 250 should they choose, with guaranteed starting positions in the Pro All Star Series (PASS) event on August 26-27 for the 44th Annual Oxford 250 at Oxford Plains Speedway in Maine. Three-time NWSLMS champion, Garrett Evans, has his eye on the one of those starting positions for the prestigious event. Not gaining the finish he would have liked in last year’s event, Evans has been gearing up for a rematch since then. Also on tap for the weekend is the Streetstock Sizzler 75, Columbia River Legends and Bandoleros.